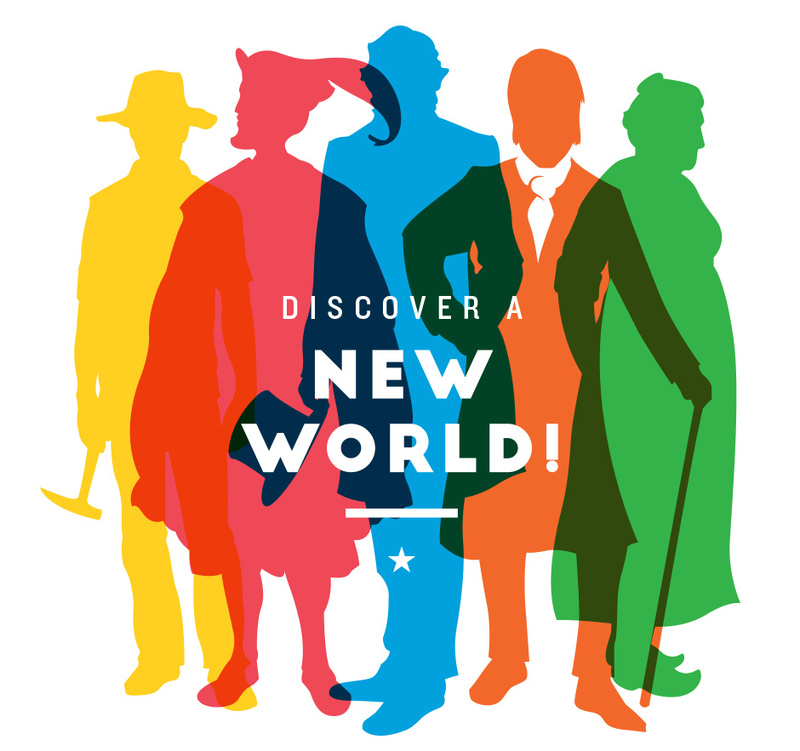 COME DISCOVER A NEW WORLD! and warm hospitality of the Gaspésie. Discover 250 years of the history of a maritime land holding! Dive into the world of the Gaspésie’s fishermen. Discover the seigneurie (land holding) of Pabos and over 250 years of fascinating history! A unique experience, in a building whose renowned design is perfectly suited to its exceptional natural site. Interpretation centre, permanent exhibit, guided tours, archaeological trail, campground, restaurant, hiking trails, bike path, beaches, play structures, picnic areas. Open during the summer season. Bilingual services. Visit the website. Undisciplined and unpredictable, but above all curious and inventive, Pierre Nadon influenced a generation of Québec archaeologists. From 1981 to 1987 he led four seasons of archaeological excavations at Bourg de Pabos, discovering and documenting the daily life of an 18th-century fishing community of the Gaspésie. The edge of the world is the perfect place to discover the heritage of the Gaspésie! 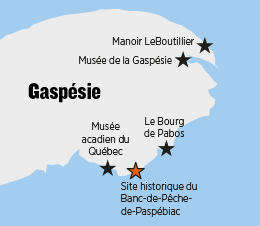 Meet the men and women who shaped the Gaspésie from its earliest origins to modern times. You’ll be captivated by the museum’s diverse historical and artistic exhibits and its contemporary architecture! Permanent and temporary exhibits, guided tours, GeoRally treasure hunt, mobile app for children, crafts shop, bistro terrace, archives centre. Open year round. Bilingual services. Visit the website. A master navigator, Jacques Cartier explored the Gaspésie during the summer of 1534. At the spot where he first met Indians, he erected a cross in honour of the King Francis I of France. Thanks to this fearless explorer, France was able to colonize the territory that would become New France some 75 years later. Travel back in time to 1850 and fall under the spell of this national historic site! Discover the home and the busy life of John Le Boutillier, a major cod merchant. It’s a foray into the daily life, customs and traditions of both masters and workers, in a registered historical monument and National Historic Site of Canada! Interpretation centre, guided tours, tea room, craft shop. Open during the summer season. Bilingual services. Visit the website. A prominent figure in 19th century Gaspésie, John Le Boutillier was born on the island of Jersey and pursued two careers throughout his life. As a politician, he fiercely defended the region’s interests. And as an energetic businessman and self-made man, he was at the forefront of the dry salted cod trade (the famous Gaspé cure), an industry that is inseparable from the history of the Gaspésie. Witness two centuries of the great saga of fishing in the Gaspésie! Relive the great adventure of the two largest Jersey fishing companies of the 18th and 19th centuries. Always suffused with scents of the seaside, the walls of the eleven historical buildings reveal their stories… with a little help from the interpretation staff! Historical site, exhibit, guided tours, restaurant, shop. Open during the summer season. Bilingual services. Visit the website. Born on the island of Jersey, Charles Robin was raised in a family of cod traders. In 1765, with his brothers and several partners, he founded Robin, Pipon & Co. (later, Charles Robin & Co.). The company’s facilities in Paspébiac, managed by Robin himself, became the centre of the commercial cod fishing industry. Be amazed by the fascinating and compelling story of the Acadians of Québec! Discover the vibrant Acadian culture and the epic story of a remarkable people at this exceptional historical and ethnological museum! Come learn the history of the Acadians of Québec – a culture still alive and well. Permanent and temporary exhibits, guided tours, shops and workshops, documentary presentations. Fêtes Acadiennes in mid-August. Open year round. Bilingual services. Visit the website. A nurturing mother, a fervent believer, a wellspring of abundance who sings as she works… the Acadian woman has overcome all the obstacles that history has placed in her path. She represents the resilience of a people who, after the horrors of the Deportation, settled in every corner of Québec.